Does your skin feel and look dry like desert ground during these cold winter months? I know my skin always suffers this time of year. I wanted to give you some of my favorite tips and DIY recipes to help with dry skin. 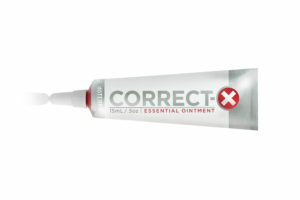 Correct X is my favorite for the extra dry chapped lipped. I put some on before bed and I wake up with my lips feeling so much better! Did you know that there are some chemicals we should look out for in our lip balms and avoid? Check out this short read HERE to learn more about what to avoid, but I will give you a small list below. My day to day favorite is doTERRA's Lip balm, it is a natural formula containing plant oils, botanicals, and essential oils to hydrate and soothe lips while delivering the unique scent and taste of essential oils. This extra-moisturizing lip balm contains coconut, moringa seed, and avocado oils along with beeswax to glide easily across the lips, leaving behind deep hydration that lasts throughout the day. Along with our new formula, we’ve added two flavors to our original blend of Wild Orange and Peppermint. Experience the scents of paradise with Ylang Ylang, Clementine, and Lime essential oils found in our Tropical Lip Balm, or invigorate the senses with our Herbal Lip Balm containing Lemon Verbena, Marjoram, and Spearmint essential oils. This trio is only $20 retail and $15 wholesale. Want to make your own all natural lip balm? This recipe only takes a couple minutes and works amazing! This recipe will make approximately 10 tubes total. Fill a large skillet/saucepan with one to one and a half incase of water and bring to a boil. Once boiling, add the glass jar to the center of the saucepan to melt the beeswax. Once melted add in Coconut Oil. Once completely melted remove glass jar from water and add 5-10 drops of doTERRA peppermint essential oil. Fill the tubes as full as you can without overflowing. doTERRA has some amazing exfoliating products. For your face there is the Invigorating Scrub, experience fresh, renewed skin with doTERRA Invigorating Scrub. Grapefruit and Peppermint CPTG® essential oils make exfoliating a refreshing aromatic experience while jojoba esters polish your skin. Botanicals of Mandarin Orange Extract, Jasmine Extract, and Greater Burdock Extract tone, smooth, and hydrate skin. 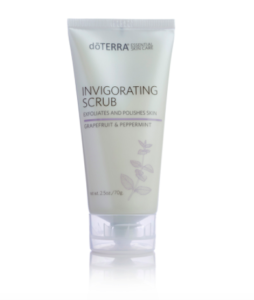 The Invigorating Scrub is just $24 Retail and $18 Wholesale. One of my favorite skin care products of doTERRA's is their Reveal Facial System, enjoy a spa-like facial treatment in the comfort of your home with the Reveal Facial System—a carefully formulated, two-step process that gives your skin an amazing, youthful glow. I use this product 2-3 times per week and my skin health has improved drastically, less breakout and blackheads. I am a happy girl! The Reveal facial system is $80 retail and $60 wholesale. We can't forget about exfoliating our bodies! I love doTERRA's Exfoliating Body Scrub for this, it is a natural, indulgent body scrub that gently exfoliates and polishes skin with natural sugar cane, leaving a healthy, natural glow. Infused with CPTG® essential oils of Wild Orange, Grapefruit, and Ginger, this luxurious scrub provides a custom at-home spa experience that entices the senses, pampers the body, and warms the soul. Formulated with a rich blend of kukui, macadamia, and coconut oils, the doTERRA SPA Exfoliating Body Scrub not only removes dead skin cells through exfoliation, but replaces vital hydration to keep skin looking smooth and soft. The Exfoliating Body Scrub is $26 retail and $19.50 wholesale. Try out this DIY Sugar Scrub. Easy to customize with the essential oils of your choosing! Tip: In place of white sugar, you could use brown sugar or sea salt. In place of Fractionated Coconut Oil you could use almond oil, grapeseed oil, or olive oil. Add in essential oil of your choose. Store in container with lid. After we exfoliate our skin it's time to moisturize so what should we turn to? For my face I LOVE doTERRA's Hydrating Cream when my skin feels really dry. I actually use this every night to help keep my skin feeling great. It's the intensive moisture your skin has been waiting for. doTERRA’s Hydrating Cream is packed with emollient-rich ingredients and probiotics to provide intense hydration and nourishment to the skin, helping reduce the appearance of fine lines and wrinkles and aiding with skin barrier renewal for suppler, younger-looking skin. Its rich formula provides a burst of active moisture without leaving an oily residue. Carefully chosen ingredients are designed to rejuvenate the look of mature skin, as well as to help reduce the visible signs of aging due to both natural and environmental causes. Probiotics reinforce the skin’s natural barrier, helping to improve skin’s natural health and beauty. Perfect for day or night use. $46 retail and $34.50 wholesale. When my skin is feeling extra dry or on those though places like my knees and elbows I turn to the Replenishing Body Butter, Pamper your skin with the rich hydration and luxurious feel of the doTERRA SPA Replenishing Body Butter. The base of this natural formula combines shea and cocoa seed butters, known for their deep moisturization and ability to promote skin suppleness. Jojoba seed oil absorbs quickly into the skin and helps keep skin looking hydrated while avocado oil provides essential fatty acids to nourish and soften skin. CPTG® essential oils of Wild Orange, Douglas Fir, and Frankincense turn this indulgent formula into an intensely aromatic spa experience while providing purifying and rejuvenating benefits. $23.33 retail, $17.50 wholesale. Prefer DIY options? Check out this simple DIY Whipped Body Butter! 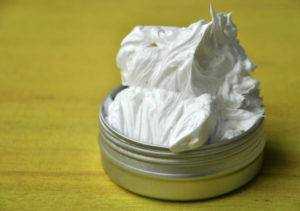 Customize your whipped body butter with any essential oil of your choice. Fill a large skillet/saucepan with one to one and a half inches of water. Bring to a boil. Once boiling, add the glass jar to the center of the saucepan to melt and combine ingredients. Stir every few minutes until the ingredients are melted and combined. (10–15 minutes) Tip: Use a popsicle stick to stir for easy cleanup. Once everything is melted, remove from heat and let sit for 5–10 minutes. Add desired essential oils. Once essential oils are added, let it rest in a cool place (such as the refrigerator) until it has set. Once chilled, take out of refrigerator. With a stand or hand mixer, start on low and slowly turn the speed higher until the lotion becomes light and fluffy (around 3–5 minutes). Note: Store mixture in a jar with a lid and keep in a cool place. If needed, re- fluff the body butter by whipping it back up to the desired consistency with a hand mixture. I hope these tips are helpful for you and your families. Already have a doTERRA wholesale account? Head over and grab any of these oils now. Not a doTERRA Wholesale Member yet? Click HERE to get started.